England applies the same type of voting system both for electing the members of the Common House and the local governance. They are organized according to the plurality ballot in constituencies with a single candidate, by following the formula “the winner takes it all”, thus, the first in the voters’ preferences wins the mandate. Obviously, this kind of ballot does not have a threshold. For electing the mayors, England has a ballot named the supplementary vote, a derivative ballot from the alternative vote, being basically a shortened version of it. The voter has two votes, having the option to use just one, votes that can be offered as first option for a candidate and as a second option for the second candidate. At the London Assembly elections, an institution with responsibilities similar to those of the General Council of Bucharest municipality, it is applied a mixed system called the additional member system. The system combines the type of vote “the winner takes it all” with a vote for a political party, that are allocated in accordance with a proportional formula. The voter has two votes, one for a candidate and a vote for a political party. Being a plurality ballot in single member constituencies of the type “the first takes it all”, it does not have an electoral threshold. England has a two-party system, more specifically, two major parties that alternate in holding the office, the Conservative Party and the Labour Party. But the name of two-party system does not accurately describe the British system of parties, being given that a third party, a little bit smaller, the Liberal Democratic Party, along with other even smaller parties, sometimes contributes to the support or the fall of a government. The British system of parties has two major parties, due to the fact that elections are held in constituencies with only one candidate, fact that tends to polarize the electoral competition. Until 1998, when the British Parliament adopted Registration of Political Parties Act 1998, the registration of political parties was not regulated by law, and the parties entered the electoral competition without having a defined legal status. With the occasion of several elections, candidates without a real chance to winning a mandate in the House of Commons used intentionally similar names with those of the three main parties (the Labour Party, the Conservative Party and the Liberal-Democratic Party), to “steal” some votes (spoiler candidates). Following several incidents of this kind, the British Parliament adopted the Registration of Political Parties Act 1998. Today, the regulations on the registration of a political party are enclosed in the legislative act The Political Parties, Elections and Referendums Act 2000 (PPERA), that repealed the Registration of Political Parties Act 1998. There can be even a single person, in the case of minor parties. From the party registration form it is inferred that at least three members are required to set up a political party: the party leader, a treasurer, and a third member, whose position in the party must be specified, but the law specifies this. British citizens have two options under the legislation of 2000; either to establish a political party that has the status of registered party, or to constitute a minor party. Registered political parties can participate in the general elections in the United Kingdom, while, minor parties can participate only in the elections held in parishes and communities for choosing the councils in England, namely, in Wales. the proof of payment of a fee of 150 pounds, which are non-refundable. According to the interpretation provided by the legislator and attached to the law, the term of “party includes any organization or person”. Minor parties may be represented by a single person, while registered parties must have at least three members. – a third member, whose position in the party must be specified. The ease with which a political party can be registered and maintained in England is doubled also by the possibility that the whole process can take place only on-line, by filling out a form. The registration of a political party is largely facilitated by the structure and content of the Election Commission website, which provides the necessary forms and guidelines for filling them out. Under Article 49 of the Italian Constitution, the political party is a free association of people that enters a democratic competition to determine the national policy. Article 93, paragraph 3 provides the interdiction to form political parties intended to magistrates, military officials, police officers and the British legislation gives the name of “third party” and a different status to the parties participating in legislative and local elections or to any other campaign, such as the campaigns on various political issues (issue-based campaign), and whose costs exceed £ 10.000 per year. These parties called “the third party” are subject to a strict monitoring of donations by the Election Commission, while the parties with incomes and expenditures under £ 10.000 per year are subject to annual monitoring only. England does not provide financial revenues, or of other nature, to the political parties only for the simple status of party, nor finance partially the electoral campaign. Conversely, the regime of donations is closely monitored by the Electoral Commission and limited by law, so that parties can not accept anonymous donations or whose authors can not be identified. Instead, the political parties present in Parliament receive amounts of money for their parliamentary activity. To register to the local and legislative electoral competitions (candidate-based campaigns) a political party must deposit the amount of £ 500 as deposit, amount that will be reimbursed fully, if the political party obtains more then 5% of the votes, and, only partially, if the party does not pass this electoral threshold. The conditions for the existence of a political party have a more formal nature. According to the fiscal year, each political party is obliged to complete the statement of income and expenditure of the party and submit it to the Electoral Commission. Through this declaration, the party proves its existence and formally confirms that no change occurred in the name and structure of the party. The statement is accompanied by a yearly tax of 25 pounds. There is no minimum amount of revenues and expenditures of a party, the statement and annual fee of 25 pounds being important for a party to remain enrolled. To remove a party from the register, the leader must complete a standard form and send the last annual financial report within the time frame provided by the law. The British state does not intervene in the dissolution of a political party, only if it does not declare each year its financial situation, therefore does not prove its existence. Until recently, Britain had no regulations on the registration of a political party, which means that the parties were seen as carrier parts of specific visions (being established ​​even by a single person) or as civic associations. Even after the regulation, there are associations that define themselves as parties, but do not enter the electoral competition, their only goal being sometimes to sustain a civic cause. Although a political party can be easily set up, the chances of winning a parliamentary seat in a plurality ballot “first pass the post” are very low. Facilitating the registration of a political party is rather beneficial for local politics. Belgium has a proportional electoral system with party preference lists. The electoral formula used to allocate the mandates is the d’Hondt, being applied in each constituency individually, the round for national allocation was abolished in 2003. The elector has at disposal only one vote which can be used either to support a party list in the order previously established or to grant preferential votes to the candidates on the list. If a candidate on the list obtains the eligible number of votes, calculated by dividing the total number of votes in a constituency to the number of seats plus one, then he wins the mandate, obviously, only if the party to which he belongs won 5% of the votes in that constituency. According to art. 180 of the Belgian Electoral Code, all Belgian citizens who fulfil the conditions to vote laid down in Article 1 of the Code are obliged to vote. The penalty, provided in art. 210 of the Electoral Code, consists of the application of contraventional fines and even removal from the electoral rolls for a period of 10 years during which that person can not receive any nomination, promotion, distinction from any public authority. The electoral threshold is 5%. Belgium has a fragmented, multi-party system, with three main parties. The number of parties was reduced to seven, after the electoral reform in 2003, when the electoral threshold of 5% has been introduced. In Belgium there is no special law on political parties, but it is applied the common law on non-profit associations, namely Law of June 27, 1921, hereinafter the Law. According to art. 2, paragraph 3 of the Law, the number of founders can not be less than 3 members. This situation is not regulated in the Act of 1989 on the limitation and control of expenditures in respect of elections, in the Law, nor in the Belgian Electoral Code. On the other hand Belgium, a federal state, is known for recognizing the phenomenon of regional parties participating both in local/ regional and federal elections. The Party’s name – according to the Law, each political party must have the name mentioned in the statute. Under Article 1 of this Law it shall be located in Belgium. Party program and statute – The mandatory content of the statute is described in art. 2 of the Law – members’ personal data, precise indication of the objectives pursued by the party, etc. The Statute should be written in an authenticated form or under private signature. the governing bodies – the general assembly – its duties, the way how it is convened and the way how their content is brought to the knowledge of third parties are all specified in the statute. On the other hand, art. 4 of the Law provides the situation when the decision of a general assembly is mandatory in order to take a valid decision. In the definition of the political party of the 1989 Act it is stated inter alia that the parties may have(or may not have) legal personality. Belgium, among other countries, in an official document issued by the Committee of Ministers of the Council of Europe is considered as an example of summary regulation, less detailed on the political parties matter. According to the Art.116 of the Belgian electoral code, for the election to the House of Representatives, the candidature must be supported by (1) at least 500 voters where, according to the latest census, the population of the electoral constituency is more than 1.000.000 voters, (2) 400 voters if the population is between 500.000 and 1 million inhabitants, and (3) at least 200 voters or 3 parliamentarians in the other cases. par quatre cents électeurs au moins lorsque ladite population est comprise entre 500 000 et un million d’habitants et par deux cents électeurs au moins dans les autres cas, soit par trois membres sortants au moins. Dissolution is possible voluntarily, by decision of the deliberative body of the party and by decision of the court, when the party has less than 3 members; the party can not achieve the objectives set out in the statute; the heritage of the party is diverted from the purpose sought; the party seriously violates its statute, the laws or the public order; did not record annual balance sheets. The Finnish electoral system dates back to 1906, being one of the most stable electoral systems in the world. The 200 members of the unicameral parliament are elected through a proportional representation ballot with preferential lists by applying the d’Hondt method, without imposing any threshold. The allocation of the mandates takes place at the level of each of the 15 electoral districts. The electoral threshold for the elections according to the proportional representation voting is 5%. The Finnish system of parties is one of the most fragmented in Europe, being still a stable system, that has constantly three major parties, even if it has allowed other new parties as well to enter the political stage. For the registration of an association as a party is required the support of 5.000 citizens entitled to vote at parliamentary, municipality elections or the elections for the European Parliament. It is not specified the possibility to establish a political party or association locally. However the law allows the establishment of associations consisting of 100 citizens, in order to support an independent candidate. To each registered political party is attached the acronym r.p. immediately after the party’s name, acronym that comes from the term “rekisteröity puolue” or “registrerat parti”, in Romanian, registered party. The Parliamentary parties receive money from the state budget for their public activity that is conducted in accordance with the program, rules, and the organization of the party. Parties funding is limited to donors who can be identified and to the following amounts from a single donor: 3.000 euros for municipal elections, 6.000 euros for the parliamentary elections and 10.000 euros for the European Parliament elections. The right to be elected is conditioned by the affiliation to a political party, which may submit candidatures in the absence of other constraints, and the support from an association of citizens entitled to vote from the same district, in number of 100, who can support an independent candidate. A Finnish political party is removed from the register of the parties if it fails to win a parliamentary mandate in two consecutive electoral elections. Also, a party is removed from the register if it ceases to be an association. Upon request, any party can be removed from the register. Finland has a relatively difficult regime to set up a political party, but once established, the political party is more likely to enter the parliament, given that the ballot is a proportional one and the allocation of the mandates is not restricted by a legal electoral threshold. But it must be mentioned that the d’Hondt method of allocating the mandates favours the large parties. French electoral system for the election of the National Assembly (the second chamber of the French Parliament) is a plural-majority one in two rounds (two-ballot majority-plurality system) in single candidate constituencies (uninominal). The elector has at disposal only one vote that he gives to a single independent candidate or representing a political party. The electoral competition is won in the first round if one of the candidates obtains an absolute majority (50%+1) of the votes, only if the majority gained is at least equal to 25% of the registered voters. In the absence of a majority, a second round is organised involving only the candidates who obtained the votes of at least 12.5% of the registered voters. In this second round, the candidate with plurality of votes wins. 12.5% support of the constituency or to be situated on one of the first two positions of the constituency, in order to participate in the second round, to the legislative elections. In France there is no special law on political parties. This matter is hitherto governed by the general provisions, valid for any type of association, of the Act of July 1, 1901 on Associations, hereinafter the Law. But neither this law, the common law on associations, does not contain any particular provision regarding the parties. According to the definition contained in article 1 of the Law, the Association is a convention by which two or more persons are pooling knowledge and activities for purposes other than profit sharing. Within the doctrine was apprehended that the statute of the party involves its signing by at least three persons, namely a “president”, a “treasurer”, and very often a “secretary”. This situation is not regulated neither in the Law, nor in the Law. 88-227 of March 11, 1988 on financial transparency in political life. On the other hand, France is known for recognizing the legality of regional parties participating in both national elections and local ones. Some relevant conditions for the establishment parties results from the Law no. 88-227 of March 11, 1988 on financial transparency in political life. Thus, under art. 7 of this Law, the party has legal personality. In the law it is stated that the acquisition of political association’s legal personality is dependent on the completion of some formalities of advertising within the Official Journal of political association by its founders’ diligence. Prior declaration will be recorded in the department or the sub-prefecture of the arondissement where the association will have its registered office. This declaration must state the object of the association, the personal data of those charged with its administration to which is added the statute of the association. Within the doctrine it was apprehended, under this respect, that the requirements to be complied with are formal – drafting the articles of association, a first general meeting of members, a first meeting of the management of the political association, the appointment of a Chairman and treasurer, etc. It does not have any. The law stipulates that those associations based on an illicit cause or those pursuing an illicit purpose, contrary to the laws, morals or intended to harm the integrity of the national territory and to the republican form of government are void and have no effect. Dissolution will be ordered by the Tribunal de Grande Instance, or by request of those concerned, or by request of the Public Ministry. Once established, the associations must give notice, within 3 months of their occurrence, on changes in the course of their existence, and of any amendments to the statute. They will be binding to third parties only when declaration is made. Those mentions will be recorded in a special register that must be presented to the administrative or judicial authorities each time when they require it. The election of the Bundestag members takes place by applying one of the oldest mixed electoral systems. The German voting system is closer to the proportional electoral systems family, being a mixed proportional system. The 598 seats are allocated equally by majority formula and by proportional Hare formula. The electoral threshold for the seats allocated by proportional formula is an alternative one: 5% or from three uninominal constituencies. The voter has two votes, one for a candidate entering the electoral competition in a uninominal constituency and a vote for a party closed list. In the constituencies with a single candidate, seats are allocated by the plurality formula “first past the post”. The allocation of mandates by proportional method takes place in two rounds. First, it is computed the number of mandates vested to each party at national level depending on the number of votes collected by applying the Hare quota, then, at the level of each land it is calculated, based on the number of votes collected by the lists of each party in each land, the number of mandates vested individually to the parties, by applying the same Hare quota. The electoral threshold for the legislative elections is 5% or 3 single member constituencies. Usually, the system of parties in Germany is regarded as a pluralist one in which two parties exercise, usually alternatively, the political dominance, namely the German Social-Democratic Party and the Christian-Democratic Union. The picture is completed by three parties of smaller size and scale, namely the Liberal-Democratic Party, the Left and the ’90 Alliance/The Greens. The matter on the foundation of political parties is governed by the Law on Political Parties of 07.24.1967, hereinafter the Law. This law does not regulate the actual conditions for the registration of the party, but only the conditions which, if are not observed, invalidate it as an autonomous legal entity, i.e. the conditions for the establishment/ foundation. The law distinguishes between political parties and simple political associations. Further will be considered only the legally binding terms for the creation of a political party in Germany. Within the Law, in the context of not establishing the actual conditions for the registration of the party, there is not provided any condition relating to the minimum number of supporters to establish a party. This situation is not regulated within the Law. On the other hand, the German law recognizes the existence of a party as the Social-Christian Union of Bavaria, a paradigmatic case of a regional party. The mandatory content of the statutes is described in art. 6 paragraph 2 of the Law and mandatory includes inter alia provisions on the rights and obligations of the party members, the field of activity of the party, the composition of the governing bodies, the party structure and its territorial network. Party convention, meeting of the party members and the executive committee are the bodies set out in the Law. There is no actual procedure to register the party understood as a modality required for its establishment. From the conceptual point of view there is a clear distinction between the two concepts – the registration is a method, among other existing or imaginable, by which a party is born. A party that was not continuously represented by at least five representatives in the federal Parliament or in the one at the lands’ level needs at least 200 holograph signatures of citizens eligible to vote in that constituency in supporting the candidature for the elections. Under the Constitution and Law, the Federal Constitutional Court has the power to declare the unconstitutionality of the party that by its activity violates the Constitution. The law does not provide cases and procedures for judicial dissolution of the party. The sanction for non-compliance to this condition is the loss of legal status of the political party/ dissolution and (re)acquisition of the status of a mere political association. All these conditions allow drawing the conclusion that, in the positive law in force in Germany, the set up of a political party is a relatively inexpensive and non-bureaucratic operation. In a decision dated 07.25.2012 the German Federal Constitutional Court ruled that the laws governing the electoral system are unconstitutional. See also this decision – http://www.bverfg.de/en/press/bvg12-012en.html. After 2005, Italy applies a proportional representation system. Both for the Chamber of Deputies and for the Senate, the voter has only one vote for a party closed list. For the representation in the Chamber of Deputies, the electoral threshold is 10% for an alliance, that includes at least one party who has obtained at least 2% of the votes, and 4% for a party, whether it is competing individually or it is part of an alliance. For the Senate, the electoral threshold for an electoral alliance is 20 %, only if at least one party in the alliance obtains at least 3% and 8% for a party that candidates individually or within an alliance. Italy returned to the proportional system after it had, between 1993 and 2005, a majority mixed system, in which about three-quarters of the seats were allocated to uninominal constituencies and only a quarter were allocated at national level according to the proportional representation. The Regional Council consists of 60 members. 48 councilors are elected in provincial constituencies by a proportional representation voting with open lists, by using the Droop quota for allocation, while 12 councilors are elected on a single regional list, including the President. A seat is reserved for the candidates who are ranked second in voters preferences. If a coalition wins more than 50% of the seats in the Council by proportional representation ballot, only six candidates on the regional lists will be elected and the number of those elected in the provincial constituencies will be 54. If the winning coalition obtains 40% of the votes, special seats are added to the Council to ensure a large majority for the President and for the alliance of which he is part of. The threshold for the party electoral list is removed in case that the party proposed a candidate for the position of president and obtained at least 5% of the votes. Some regions, Tuscany, Marche, Puglia and Calabria have other electoral systems, adopted recently. For local elections, the list attached to a mayor obtains 60% of the seats. If the party of which the mayor is part of does not get a majority of seats, a proportional distribution of seats takes place, leading to a divided government. The mayor is elected by a majority vote in two rounds. The electoral threshold is 3% for the political parties that submit lists. For the Chamber of Deputies, the electoral threshold is 4% for parties and 10% for alliances, provided that at least one party of the alliance obtains 2%. For the Senate, the electoral threshold is 8% for parties, 20% for alliances, provided that at least one party of the alliance obtains 3%. The threshold for the party electoral list is removed in case that the party proposed a candidate for the position of president and obtained at least 5% of the votes. Italy has one of the most fragmented party systems. A large number of parties are represented in parliament, which makes it difficult to preserve the parliamentary majority and, implicitly, the lifetime of the cabinet is more reduced. In 1993, Italy has reformed the electoral system especially to reduce the number of parliamentary parties, by switching from a proportional representation ballot to a mixed one. For the set up of a political party are required a minimum of three members: a president, a secretary and a treasurer. Italy does not have a law on political parties. To become a recognized party, citizens must register as an association with legal personality. For the set up of an organization it is necessary to establish a notarial act that has also the role of party statute, establishing the name, the purpose, and the logo of the party. For the set up of a political party are required a minimum of three members: a president, a secretary and a treasurer. After notarization it is required the registration in the trade register. The access to elections is conditioned by the accreditation at the local prefecture, which constitutes a mere formality. Under Article 49 of the Italian Constitution, the political party is a free association of people that enters a democratic competition to determine the national policy. Article 93, paragraph 3 prohibits the magistrates, military officials, police officers and diplomats to form political parties. The Fundamental Law also prohibits the reinstatement of the Fascist party. Parties already represented in parliament do not have to fulfil other formalities for submitting candidatures. New parties (even the above-mentioned parties changing their logo) need to gather a number of signatures between 1.500 and 3.000, in order to submit party lists. In some constituencies with only one candidate, the required number of signatures is 300 (e.g. Valle d’Aosta). Other details and restrictions regarding signatures are not regulated by law. The regime of setting up a political party in Italy is not so much regulated by law, making the Italian system of parties to be renewed continuously. The ease of setting up a party makes even more parties to participate (and win) the election, mostly in alliances. The parties and alliances are aided by the proportional electoral system and, at the same time, restricted by the relatively high electoral threshold. The Netherlands applies a proportional representation voting with party closed lists for the House of Representatives. The voter has at disposal only one vote for a candidate of a party on the list. The elector may vote for any candidate on the list as he prefers or, if he does not prefer any candidate of the party he wants to vote with, he will check mark the first candidate on that list. The votes obtained by all candidates on the list are gathered to the account of the party they belong to and are allocated in accordance with the rank on the list. The ballot does not have a legally predetermined electoral threshold, but it imposes to the parties to obtain at least 25% of the electoral quota (Hare quota) calculated at national level, which represents about 0.67% of the total valid votes cast. Allocation of seats takes place at the national constituency level by using the d’Hondt method. Approximately 0.67% of the total valid votes cast. It was expected that the Dutch electoral system determines the choice of several parties, given that it is one of the most proportional electoral systems in the world. The average number of parliamentary parties is 10.7. Netherlands does not have a law on political parties, and the law on associations does not specify the number of members required for the establishment of a political association. It is inferred, however, that at least two members are required. Netherlands does not have a law on the political parties. Political parties are considered associations and are covered by Part II of the Civil Code, entitled Legalized Persons. For the establishment of an association are required at least two people who have common goals explicitly presented in the Articles of Association and who can not aim to make profit for its members. There are two types of associations: those with total legal rights and those with limited rights. The first type of association is registered at the notary, while the second type of association is not registered. Thus, an association has to choose regarding its registration at the notary, however it is mandatory to be registered in the trade register. Parties are associations that are registered at the notary. The statute, rules and organization of the association are included in the Articles of Association, which must also contain the name and the aim. An association may be dissolved according to the Articles of Association of that association. The Law on Associations does not provide other situations of dissolution of a political association. Only with a minimum number of members required to set up a political party, with a proportional system and with a very low electoral barrier, the Netherlands has one political and electoral system of the most open to new parties. Spain has a proportional electoral system with closed party lists. The formula for allocating the mandates is the d’Hondt method to which is applied priorly the threshold of 5% for each party or electoral alliance. The electoral threshold is not calculated from the total votes obtained nationally, but deducted from the votes obtained in each constituency individually, thereby allowing the parties to win mandates only in a single constituency. It is necessary to specify that the Spanish electoral system is one that disadvantages small parties, because of the application of the d’Hondt formula and of the loss of electoral leftovers constituted by the votes offered to smaller parties and failing to obtain mandates by the d’Hondt formula. The voter has available a single vote for a party list that can not be altered in any way. Spain has a multipartidist system, being one of the most fragmented party systems in Europe, with an average of twelve parliamentary parties. The matter for the set up of political parties was regulated by the provisions of the Organic Law 58 of 1978 on political parties. This law was repealed by Organic Law 6 of June 27, 2002 on political parties, hereinafter the Law. There is no condition laid down in the Law, nor in the previous law, of 1978, on the minimum number of founder members, but the law states about founders at plural, whence it is inferred that at least two founders are required. Also, there is no provision in the Law regarding the minimum number of supporters of the initiative to set up a party. On the other hand, in the Recommendations of January 10, 2000 of the Commission of Venice on prohibition and dissolution of political parties and other measures with equivalent effect it is mentioned that in Spain the condition to register a list of 5.000 signatures in support of the initiative to constitute a political party is a mere formality. This situation is not expressly regulated within the Law. On the other hand, Spain is recognized as one of the European countries in which the phenomenon of local/ regional parties knows a significant spread. The individuals who set up the party must have full legal capacity of civil rights. Within its content there will be compulsorily found the identification data of the founders, the name of the entity that will be established, the members of the temporary governing body, the address and the statute is required by Law. Together with the submission of the founding document signed by the founders at the Ministry of Interior, together with the documents certifying the fulfilment of the conditions provided by Law, the file will be registered in the Register of Political Parties moment when it is considered that the party is born as a distinct legal entity. The administrative and judicial procedures, involving the Minister of Interior, the Public Ministry and the criminal courts, and, namely, the administrative courts, for the registration of the party are regulated in detail in Articles 4 and 5 of the Law no. 6-2002. In Spain the political parties candidating for the elections should provide a list containing the support signatures of 1% of the registered voters of the constituency concerned. One of the Law particularities is the very detailed regulation of situations that can attract the sanction of termination of party’s activity. Thus, according to Article 9, paragraph 2 of the Law, a party is outlawed when its activity violates the democratic principles, human rights and fundamental freedoms, promote violence as a mean of political struggle, support terrorist activities, etc. Cases that impose the sanction of judicial dissolution and/ or suspension, the procedure to be followed, the duties of the state bodies involved in these proceedings (the two chambers of Parliament, the Government, the Supreme Court, the Public Ministry, as well as the effects of these sanctions are regulated in Chapter III of the Act. Bulgaria has a mixed proportional electoral system. The National Assembly (Narodno Sabranie) of Bulgaria consists of 209 members who are elected by a proportional representation ballot on closed party lists, plus 31 members who are elected by a plurality ballot in constituencies with a single candidate. The electoral threshold for the proportional representation vote is 4%. Bulgaria is divided into 31 constituencies that have more members in the round for the election on lists, and, at the same time, with a single member in the nominal round. Each voter has two votes, one for an unalterable list of a party and one for a candidate of one of the 31 uninominal constituencies. Locally, Bulgaria applies a proportional representation ballot with vote on closed party lists. For the allocation of mandates, the d’Hondt formula is used, without imposing an electoral threshold. The electoral threshold for the proportional representation ballot is 4%. The proportional elections al local level do not have an electoral threshold. Bulgaria has a multipartidist system with a dominant party since 1990’s, with a brief diversion to a multi-party system without a dominant party between 2005 and 2009. Under the law (Article 10), the initiative of setting up a party must belong to 50 Bulgarian citizens entitled to vote. To register a political party in the register of political parties are necessary 500 founder members, citizens entitled to vote, to participate in the first congress of the party. the certificate attesting the uniqueness of the party name. If all conditions are met, the party is registered in about a month and a half after the submission of the application. Sofia Court Registry shall keep the following information regarding the political party: the name, location and address of the mai office, the statute, the names of leaders and members of the control body of the party, the names of party representatives according to the the statute, the situation of dissolution of the party, the names and titles of the liquidators, as well as other changes that occur regarding any of the circumstances listed above. The registration in the electoral competition is conditioned to the submission of a number of signatures from across the country, 15.000 by parties and 20.000 by alliances, and the amount of 50.000 BGN (about 25.500 EUR), and, namely, 100.000 BGN (about 51.000 EUR). The financial deposit is refunded if the party obtains at least 1% of the valid votes cast. Independent candidates need 10.000 signatures in the constituency in which they candidate and 15.000 BGN (about 7.600 EUR). A citizen can support only one candidate, party or alliance. The establishment of parties in Bulgaria does not require large allocation of time and large investments of financial resources, but the requirements for entering the electoral competition hinders citizens’ access to the political space. The members of both houses of the Czech parliament are elected by two different types of elections. To choose the 200 members of the Chamber of Deputies, it is applied a proportional system with preferential party lists. The formula for allocating the mandates is, since 2002, the d’Hondt method. To participate in the process for the allocation of mandates, a party must obtain at least 5% of the votes, an alliance of two or three parties 10% of the votes, while an alliance of more than three parties 10% of votes. Allocation of mandates does not take place at national level, but individually at the level of each constituency. The Czech Republic has 14 constituencies consisting of 13 autonomous regions and the Prague. The candidates who obtain at least 5% of the total votes obtained by the party to which they belong to have priority in the process of allocation of mandates. Voters may indicate by vote four preferences on the party list. To choose the 81 members of the Senate, the Czech Republic applies a majority vote ballot in single-candidate constituencies with two election rounds. The candidates win the mandate in the first round, if they obtain 50% +1 of the votes. Otherwise, there will be held the second round to which participate the first two ranked participants. The candidate who obtains most of the votes wins the elections. For the Chamber of Deputies, a party must obtain at least 5% of the votes, an alliance of two or three parties 10% of the votes, while an alliance of more than three parties 10% of votes. Allocation of mandates does not take place at national level, but individually at the level of each constituency. For the Senate, there is no explicit electoral threshold. The Czech Republic has a multi-party system characterized by a moderate pluralism. In the Law it is specified that the necessary steps to register the party will be made by a committee made up of at least three members who will sign the registration proposal. It results that the party must have at least 3 founder members. In addition, the Law provides that the registration proposal mentioned above must have attached a request signed by at least 1.000 people requesting the registration of the party/ political movement. In the Law it is not regulated the possibility of establishing such parties. In the national elections of 2010, the North Bohemian Party (Severočeši.cz), a regional party, won two seats in the Senate. It will be attached to the proposal of registration and shall contain, among others, the objectives of the political program. Except the submission of the documents relating to the conditions listed above we mention the proposal for registration having its content regulated in detail in the Law and to which these documents will be attached to. Registration proposal will be drawn up, signed and registered by a committee, composed of at least three members, responsible for compiling the file and it will indicate which of the members act as a committee representative in the relations with third parties. In Article 61, paragraph 2, sub-paragraph d) of the Electoral Act of the Czech Republic, is stated that in regard to the independent candidates for a seat in the Senate of the Czech Republic, there must be registered a list supporting the candidature signed by the 1.000 voters in the electoral district where the independent candidates. It can be ordered by judicial proceeding also the suspension of the party’s activity. All these conditions that were analysed allow the formulation of the conclusion that, in the positive law in force in the Czech Republic, the establishment/ registration of a political party is a relatively expensive and bureaucratic operation. Lithuania has a mixed and parallel electoral system. The Lithuanian parliament, the Seimas, has 71 members elected in single-candidate constituencies and 70 members elected by a list system deployed nationwide. The candidates in uninominal constituencies must obtain an absolute majority of votes, if the presence to vote exceeds 40% and only 20% of the votes if the presence is below 40%. The parties participate in the distribution of the mandates resulting from the list voting, only if they exceed the threshold of 5% of the votes cast by voters (7% for coalitions). If after applying the thresholds, the number of voters who would be represented in the Parliament is less than 60% of those who went to the polls, then the party with most of the votes, from those under the threshold, wins the right to participate in the distribution of mandates. Elections held under proportional representation voting must have a turnout of at least 25%. 5% for parties and 7% for alliances. The Lithuanian system of parties followed a reverse trajectory, from a relative stable system in the 90’s, to an unstable and fragmented system after 2000. The matter of political parties is governed by the Law of March 23, 2004 on political parties and organizations, hereinafter the Law. Any political party can be set up provided there are 1.000 founder members. This situation is not regulated within the Law. a party member can not be founder or member of another party(s). In addition, the Law contains an interesting provision concerning foreign parties. Thus, on the territory of Lithuania, can not be created and can not operate parties of other states. The political party acquires legal personality on the date of its registration in the Register of legal persons. These are adopted by the 1000 founder members of the party. The mandatory content of the statute described in article 6, paragraph 2 of the Law and takes into consideration the name, office, legal form, the objectives of the party, the rights and duties of the members, the choice of the management bodies and their competencies, the procedure for the election and dismissal of the head of the party; the procedure for amending the statute; the procedure for verifying the use of the party’s assets; situations that require the cessation of party’s activity, etc. Also, the law provides expressly that notarization of the statute is not required in order to be valid. they are chosen by those 1000 founding members of the party. Parties are legal persons of public law. The institution authorized by Law to “give life” to the party is the Ministry of Justice, which, within 30 days from the date of file registration, must confirm or deny its authenticity. If the file contains deficiencies, within the maximum of 15 days from its receipt, the Minister of Justice shall notify the representatives of the party in this regard. The refusal of the Minister of Justice to confirm the authenticity of the documents can be challenged in court. Article 16 of the Law establishes the right of the party to participate to presidential, parliamentary and local elections and to the elections for the European Parliament without mentioning the necessity for such popular support. The law provides that, no later than 65 days before the date of the first elections in a calendar year, a party intending to participate in elections must transmit to the Minister of Justice the list of its members. Article 37, paragraph 1, sub-paragraph 2 of the Electoral Act instead provides that, for the candidature to Parliament, it is required the support of at least 1.000 people. Regarding the procedure by which a party may cease its activity (restructuring, liquidation, reorganization), the Law refers to the common law, namely the Civil Code of Lithuania. Insofar as the number of party members falls below 1.000, the Register of Legal Entities must be informed on this aspect at the latest within 30 days. If within six months from this moment on the party does not restructure/ reorganize its activity it will be liquidated. Poland applies different electoral systems for the two chambers of the Parliament, the Chamber of Deputies (Sejm) and the Senate. The number of deputies and senators is fixed by the Constitution to 460, namely 100. Deputies are elected in 41 electoral constituencies, according to a proportional system on open party lists. The threshold is 5% for the political parties and 8% for the electoral alliances. For the allocation of the mandates, it is used the modified method Sainte-Laguë, individually, for each constituency. The voter has at disposal only one vote for a candidate who belongs to a political party. The votes are added in the account of the party, although the candidates are voted and not the parties they belong to. The senators are elected in 40 constituencies according to the plurality system first past the post. Registration for the electoral race for Senate is conditioned by the gathering of 3.000 signatures of citizens entitled to vote. A voter may support several candidates simultaneously. For the election of local governors, Poland uses in parallel two electoral systems: the pluralistic system “first past the post” (FPTP) in rural communities and small towns with less than 40.000 inhabitants, and in the cities with more than 40.000 inhabitants, applies a system of proportional representation with open party lists. The electoral threshold is 5% for the political parties and 8% for the electoral alliances. Polish party system is a relatively fragmented one, characterized by a high volatility of political parties. In other words, the number of parliamentary parties over time was quite high (however a constant decline is being recorded) and the composition of the party system did not survive in the same way after the parliamentary elections, due to the emergence of new parties and fragmentation of the existing ones. The procedure for registering the party must be made by at least three persons and accompanied by 1.000 signatures of the polish citizens who support the set up of the party. a list with 1.000 signatures of the polish citizens who support the establishment of the party. The registration procedure of the party must be made by at least three persons, who have to take responsibility for the authenticity of data and signatures. To avoid unwanted or intentional confusions, the name, the acronym and the symbol of the newly established party must be clearly distinguished from those of other parties already registered. 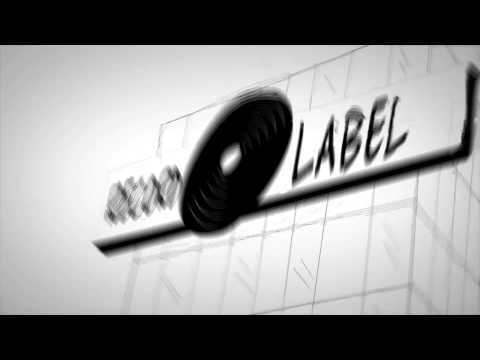 Political parties whose programs are based on totalitarian methods and the parties that are based on the Nazi or Communist principles are prohibited. If the constitutionality of the party’s program is uncertain, the opinion of the Constitutional Court is required. According to the electoral law, political parties that competed individually or in coalitions and the electoral committees have the right to funding from the state budget for each mandate of deputy and senator won. The amount for each party is calculated by dividing the total amount spent in the election campaign by the electoral committee to the figure of 560. Engagement in the electoral competition of the candidates belonging or not to a political party is dependent on the belonging to an electoral committee of a party or of some voters. The electoral committees are set up by the parties during the pre-election and are intended to propose lists of candidates of that given party. The electoral committees of an electoral party can receive application proposals also from other parties, usually smaller ones; a common political practice is the registration of candidates belonging to smaller parties on the lists of electoral committees belonging to larger parties. The electoral committees of the voters need 15 members to be constituted and 5.000 signatures to propose a list of candidates in a constituency, but the number of signatures is not required anymore, if an electoral committee proposes lists of candidates for half of the constituencies. The Court can dissolve a party in several situations. Any change in the statute, management of the party and address shall be communicated to the Court within 14 days, if not, after a period of 3 months of lack of solving, the Court can order the dissolution of the party (Article 20). If the Court considers that the activity of the party is unconstitutional, it can dissolve the political party (Articles 21 and 44). Last situation of dissolution of a political party is characterized by the refuse of a political party to give to the Polish State a sum of money whose source can not be identified (Article 39). The establishment of parties in Poland is easily done, also the participation in local elections, due to special provisions regarding the provisional electoral committees. Political practice shows a highly developed localism in Poland, but that is accompanied by an electoral and party volatility, making the Polish party system to be one of the most unstable in Europe. Until 2008, Romania had a proportional electoral system on closed party lists, with two rounds for the allocation of mandates: at the constituency level, by applying the Hare quota, and at the national level, where it is used the d’Hondt method. The electoral threshold was 5% for political parties and 8% for the electoral alliances of two parties, to which it was added a percentage for each party member of the alliance, up to 10%. In 2008, Romania has reformed its electoral system, by transition from a proportional system with closed party lists to a mixed proportional system (mixed-member proportional – MMP). Basically, over the electoral system prior to 2008 were grafted electoral colleges with a single candidate (uninominal). The 42 electoral constituencies, overlapping the administrative units, represented by the counties and Bucharest municipality, were subdivided into uninominal constituencies of deputies and senators. The voter has at disposal only one vote that he gives to a candidate from a college, candidate that may belong or not to a political party. The candidates who obtain an absolute majority of votes, i.e. 50%+1, win the mandate of the college they candidated for, only if the party or the alliance they belong to passes the electoral threshold. The electoral threshold remained unchanged, 5% for parties and 8% for electoral alliances, just that it was introduced an alternative threshold, consisting in the cumulative win of six deputy colleges and three senator colleges. Independent candidates who manage to get 50%+1 of the votes win the parliamentary mandate in the absence of other conditions. Unallocated remaining mandates are allocated in other two rounds of allocation, at constituency level, by applying the Hare quota, and at national level, by using the d’Hondt method. Although there is a majority vote in single-member constituencies, the ballot belongs to the family of mixed proportional electoral systems, because 75% of all parliamentary seats were allocated by proportional methods and only 25% by majority method. In local elections it was kept the proportional system with closed party lists for the election of local and county councils. The voter has at disposal only one vote for a closed party list. The electoral threshold is 5% for parties, 7% for alliances of two parties and 8% for the alliances of at least three parties. Votes are allocated at constituency level by applying the simple coefficient quota (the Hare quota). For the election of mayors and presidents of the county councils was introduced the simple majority voting first past the post. The electoral threshold is 5% for parties and 8% for electoral alliances, just that it was introduced an alternative electoral threshold, consisting in the cumulative win of six deputy colleges and three senator colleges. The electoral threshold is 5% for parties, 7% for alliances of two parties and 8% for the alliances of at least three parties. As expected, the Romanian proportional electoral system causes the formation of a multi-party system, which has been one without a dominant party, starting with 2004. Mixed proportional representation adopted in 2008 did not alter the structure of the system of parties, it has only reduced the number of parliamentary parties. In 1989, one of the first decree-laws of the Council of the National Salvation Front was the one on the right of association. The Decree-Law no. 8 of December 31, 1989 on the registration and operation of political parties and public organizations in Romania provided that “for the registration, each party and public organization must submit the statutes of organization and functioning, the political program, to declare the premises and the financial means at disposal and to prove that it has at least 251 members” (Article 3). After six years, the legislation regarding the set up of a political party was amended, by tightening the conditions imposed to citizens on the legal registration of a party. Article 17 of the Law no. 27 of April 26, 1996- The Political Parties Law required a number of “10.000 founder members, residing in at least 15 of the country’s counties, but not less than 300 in each county, together with an authenticated statement of the executive body of the party regarding the authenticity of the signatures.” In 2003, the law was amended again, being adopted the Law no. 14/2003 on political parties, in force at this time. (3) The list must include at least 25.000 founder members, who reside in at least 18 of the country’s counties and in Bucharest municipality, but no less than 700 people for each of these counties and Bucharest municipality. This situation is not regulated, neither in the Law, nor in any other normative act of the law on political parties. Therefore, it can be concluded that, in Romania, according to the positive law in force, it is not possible to set up political parties locally. For a better understanding of the conditions and, especially, of the reasons thereof (legal, economic, political, moral, social) to which the Law binds the valid birth of a party we consider very useful to systematize them according to a set of three distinctions. A first distinction is that between the substantive/ material/ substantial conditions and the procedural conditions on the way how to regulate the relationships that the party founders have with those state bodies empowered by law to participate in the process of registration/ establishment of the party (e.g. the courts, the Ministry of Interior, the Ministry of Justice, etc.). On the other hand, we will classify the substantive conditions from the perspective of the distinction between the rules regarding the persons who set up political parties and rules concerning intrinsic elements of the party, i.e. those elements whose absence makes inconceivable the very idea of ​​party (the name, office, date when the party was created). Finally, we will classify the procedural conditions according to their placement in regard to the date when the party acquired its legal personality, and also prior to this date (and who have, in general, a judicial nature) and subsequent (involving usually the party registration in General public registers). 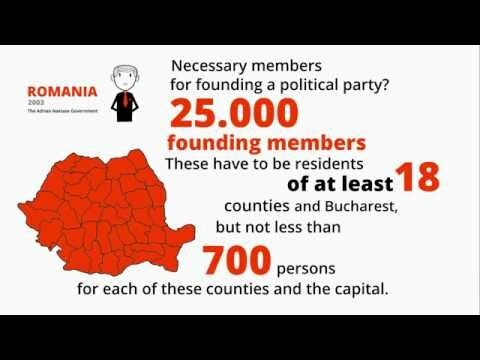 only Romanian citizens can set up parties/ be party members. a party member can not be a member of other party(s). This rule can be understood not only as prohibiting the Romanian citizens to be members of two or more parties in Romania, but also in the sense that a Romanian citizen who is already a member of a political party in Romania can no longer be part of any other political party, either in Romania or abroad. Those mentioned are relevant only in the situation that the legislation of certain countries, such as Germany, allows also foreign citizens to be members of parties in those states. Under the Law, each political party politic must have its own full name, abbreviated name and permanent sign. The political party acquires legal personality on the date when the court decision is final regarding the admission of the application. The mandatory content of the statute is described in the Law. In addition to submitting the documents relating to the conditions listed above, we mention the application, signed by the chief executive of the political party and by at least three founder members, who will be summoned to court, the act of incorporation and the proof of opening a bank account. It is worth making the observation that the conditions regarding the statute of the party and the party’s articles of incorporation must be met cumulatively. The State institution authorized by Law to “give life” to a party is the Tribunal of Bucharest. The Law describes therefore a judicial procedure in order to establish a political party. Thus we find again the specific institutions of the judicial process – the meeting in which the application for the registration of the party is settled is a public one, the participation of the Public Ministry in the process, the possibility of intervention in the process of third parties justifying an interest, the opportunity to formulate remedies at law (appeal that will be settled by the Court of Appeal of Bucharest, etc.). After the admission of the application for registration by the Tribunal of Bucharest, the political parties register in the Political Parties Register. All these conditions, conjugated with the rule regarding the representativeness threshold, allow to formulate the conclusion that, in the positive law in force in Romania, the set up/ registration of a political party is an expensive and bureaucratic operation. Law 35/2008 stipulates the conditions for the registration of candidates in elections. Article 29, paragraph 5 Each political party, political alliance, electoral alliance, organization of citizens belonging to national minorities, independent candidate must make proof of a deposit, on behalf of the Permanent Electoral Authority, with the value of 5 minimum gross salaries at national level for each candidate. Article 30 – (1) Independent candidates must be supported by at least 4% of the total number of voters registered on the permanent electoral lists of the uninominal college in which they candidate, but not less than 2.000 voters for the Chamber of Deputies and 4.000 voters for the Senate. (11) Independent candidates for the electoral constituency of Romanian citizens domiciled or resident abroad must be supported by at least 4% of voters domiciled in one of the states that are part of the uninominal college in which they candidate, but not less than 2.000 voters for the Chamber of Deputies and 4.000 voters for the Senate. Article 48 – (1) Independent candidates for the position of councillor must be supported by at least 1% of the total number of voters registered on the permanent electoral rolls and on the complementary electoral lists of that constituency, but not less than 50 in the case of communes, 100 in the case of urban localities of IInd and IIIrd tier, and 1.000 in the case of counties, Bucharest municipality, Bucharest districts and urban localities of Ist tier. (2) For the position of mayor, the independent candidates must submit a list of supporters, which must contain at least 2% of the total number of voters registered on the permanent electoral lists and on the complementary electoral lists of the constituency where they candidate, but not less than 200 in the case of communes, 300 in the case of cities, 1.000 in the case of municipalities and districts of Bucharest municipality and 5.000 in the case of Bucharest municipality. Independent candidates for the position of president of the county council must submit a list of supporters, including at least 2% of the total number of voters registered on the permanent electoral lists and on the complementary electoral lists of the constituency where they candidate, but not less than 3.000. For the position of mayor, the independent candidates must submit a list of supporters, with at least 2% of the total number of voters registered on the electoral list of the constituency in question, but not less than 200 for communes, 300 for cities, 1.000 for municipalities and districts of Bucharest municipality and 5.000 for Bucharest municipality. In order to entry the electoral competition there is a threshold of access for independent candidates for the position of councillor. They must be supported by at least 1% of the total number of voters registered on the permanent electoral lists of the constituency in which they candidate, “but not less than 50 in the case of communes, 100 in the case of urban localities of Ist and IInd tier and 1.000 in the case of urban localities of Ist tier, Bucharest municipality and its districts”. Regarding the actual existence of the party, once it has acquired the legal personality, in the Law are mentioned the following aspects that we will list and, where appropriate, we will make some few brief comments. a. Organizing the general meeting at least once every five years – the documents related to this meeting must be compulsorily registered with the Tribunal of Bucharest within 30 days. d. Obtaining, in two successive general elections, a minimum of at least 50.000 votes at national level, for the applications submitted in any of the following polls: county councils, local councils, the Chamber of Deputies, the Senate. e. Change of the statute or program of the party can take place, as the procedure of registration of the party, in terms of a legal proceeding before the Tribunal of Bucharest. CCR distinguishes between the representativeness threshold and the electoral threshold, noting that while trying to control the phenomenon of parties devaluation, the option for one party or for the other between the two thresholds is also a matter of opportunity and not a constitutional one. b. In Decision no. 147/1998 CCR has retained, essentially, the solution ruled by decision of 1996 previously quoted, taking into consideration that there were no new elements to justify changing the orientation of the jurisprudence. A tinge still appears by invoking explicitly the principle of proportionality. ” … in the Law on political parties in Germany it is not provided the need for a minimum number of members; but equally true is the fact that the definition given to a political party by art. 2 of this law reveals the idea that such an association of citizens is characterized, inter alia, by the scope and robustness of their organization, the number of members and the veracity of their public position, offering a sufficient guarantee in terms of seriousness of purposes.”In fact, also in the legislation of other countries (e.g. Canada, Norway, Portugal) there are restrictions of right of association in political parties regarding the minimum number of members” . c. In its decision no. 433/2006, the CCR discussed the unconstitutionality of article 19, paragraph (3) of the Law. The constitutional challenge was raised before the Court of Appeal – Civil Division VII also for causes regarding labour and social security disputes and the Court considered that the raised plea of ​​unconstitutionality is unfounded. e. In decision no. 793/2008, CCR has rejected a plea of ​​unconstitutionality regarding article 46, paragraph 2 and 48 of the Law. In this decision the representativeness threshold is understood not only as a condition regarding the set up (registration of the party), but also as a condition for the continued existence of the party. The Slovak parliament is elected by a proportional system with party lists and preferential voting. The electoral threshold is 5% of the total valid votes cast for parties, 7% for alliances of two and three parties and 10% for the alliances of at least three parties. The voter has at disposal up to four votes, at the very most, for four candidates of a party, that he wants to vote with. Allocation of the mandates is made by applying the Droop quota at the level of a single constituency, the national one. The electoral threshold is 5% of the total valid votes cast for parties, 7% for alliances of two and three parties and 10% for the alliances of at least three parties. Slovakia has a multi-party system, characterized by a moderate pluralism. The matter on the establishment of political parties is governed by the provisions of Law no. 85 of February 4, 2005 on political parties and political movements. In the law it is specified that the necessary steps to register the party will be made by a committee havin in composition at least three members. 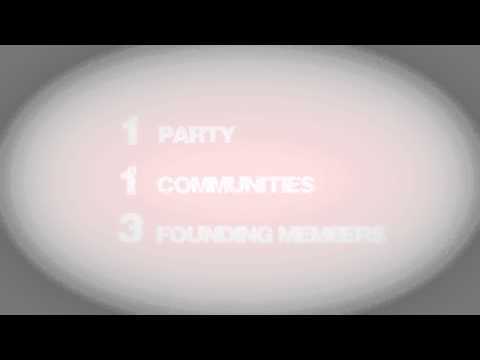 It results that the party must have at least 3 founder members. In addition the Law stipulates that the registration file mentioned above must have attached a request signed by at least 10.000 citizens who support the establishment of the party. Date of party registration in the Register of parties is the date of its creation. The procedure for registration is detailed in the Articles § 6-8 of the Law. The procedure is started at the initiative of a committee charged with the preparation of the registration file and is deployed in front of the Minister of Interior which, to the extent that the registration file is completed according to the law, has to register it in the Register within 15 days of the date when the procedure was started. To the extent that the Minister notifies the Committee of the irregularities concerning the registration file or refuse the registration of the party the Law regulates also the procedure to be followed before the courts, namely the regional court and the Supreme Court of Slovakia. The Law expressly states that the Minister will deny registration to the extent that it is not deposed ​​inter alia the list with those 10.000 signatures. The Party is registered in the Register of Parties subordinated to the Minister of Interior, the date or registration representing the moment since when it is considered that the party was founded. Information and documents relating to the party registered in the Register are presented in detail in article 5, paragraph 3 of the Law. The Law orders as well on the obligation to register the statutory representatives of the party in the Register of parties within 4 months, at most, after the registration of the party, the procedure to be followed and the penalties in case of default of this obligation. Finally, also the procedure for changing office, the statute and the statutory representatives, operations that must be as well recorded in the Register, benefit of a very thorough regulation within the Law. There is no such provision in the Law. Furthermore, even though the Electoral Act of 2004 regulates in detail the conditions for registration of the candidature to parliamentary elections (including the payment of an amount of money by means of deposit) there is no mention regarding the need for popular support. Dissolution ruled by the Supreme Court of Slovakia. Hungary has a mixed electoral system, adopted in 1989 and unchanged until today. Although it is one of the most complex systems in the world, it succeeded to create institutional stability. The electoral system for electing the members of the parliament combines, in fact, three electoral systems: the majority, the plurality and the proportional system. The voter has two votes, one for a candidate, who competes in a single candidate constituency, and one for a closed party list, given in broad constituencies with several candidates. The votes given to the party are allocated according to the proportional system at the level of large constituencies, and the votes unused are gathered at national level and are used to allocate the mandates by using the d’Hondt formula. In single-candidate constituencies, the allocation of mandates takes place according to the rule of majority of votes 50%+1 in the first round and of the simple majority in the second round. In the second round, enter the competition the top three candidates and all candidates who obtain more than 15% of the votes. Hungary has a multi-party system, largely determined by the proportional behaviour of the mixed electoral system. For the establishment of an organization and, implicitly, of a political party are required 10 founder members. In 1997, Hungary adopted the Law on benefit organizations (Act CLVI on Public Benefit Organisations (1997 as amended 1998)) thus introducing a new type of association, the benefit organization whose activity covers several areas. Political parties can not be benefit organizations and can not receive donations from them. Instead, benefit organizations can participate in local and municipal elections, but with the interdiction not to propose candidates for parliamentary or presidential elections. The Law regarding the right of association conditions the establishment of a political party by possession of the Hungarian citizenship. The Law of 1989, which gives the right to association, defines the political party as a non-profit organization, with a status alike to the one of other civil society organizations, made ​​on a voluntary basis. For the establishment of an organization and, implicitly, of a political party are required 10 founder members, the statute and the structure of the organisation. Political parties are treated by Hungarian law as non-profit organizations and fall under two laws: Act II on the Right of Association (1989) and Act XXXIII of 1989 on the Operation and Financial Management of Political Parties. Political parties are required to register their candidates and electoral lists to the Local Electoral Commissions or to the National Electoral Commission, wherefrom they receive a registration certificate. To enter the electoral competition for the election of the Parliament, candidates must submit 750 signatures. Political parties can submit lists for the places allocated by proportional method at the level of the regions only if they have candidates for at least one quarter of the single-member constituencies, but at least two. In Hungary, the dissolution of a political party takes place if it did not work for a year and the number of its members was constantly under the legal number. Hungary has a facile regime to set up a political party, thus encouraging political pluralism. On the other hand, the electoral threshold of 5% and the two rounds majority rule ballot hampers the access of new parties on the political scene. Armenia has a mixed electoral system (the National Assembly of Yerevan has 131 seats-90 mandates are delegated by proportional representation and 41 by majority vote). The electoral threshold is 5% for the political parties and 7% for the electoral alliances. The electoral threshold is 5% for the political parties and 7% for the electoral alliances. Armenia has a multi-party system. To register a political party in Armenia the following requirements must be met: to have at least 200 members from at least one third of Armenia’s regions (including the capital, Yerevan), its name must compulsorily include the word “party”, the “minutes” of the constituent congress, the Charter and the program of the party signed by the founders, the request for application signed by the members of the permanent management (which must include their personal data), the legal address of the permanent management of the party, etc. A party registered in Armenia can be located only on Armenian territory and can be only represented in other states. In Armenia, a political party may be liquidated by a decision adopted at a party conference, if it has not attended two consecutive ballots for the National Assembly, if at the last two parliamentary elections got less than 1% of the total votes given by proportional vote to all parties that participated in the electoral confrontation, did not participate in one of the polls for parliamentary elections and at the preceding or next elections obtained less than 1% of the total votes awarded by proportional vote to all parties that participated in the electoral confrontation. In Armenia, the political parties can receive funding from membership fees, donations, and legal-civil transactions, and from the state budget. The Armenian State provides financing only to parties that obtained at least 3% of the votes at the last parliamentary elections and the amount received by a party is directly proportional to the number of votes obtained by each party by proportional representation voting. A party can not receive a funding smaller than 0.03% of the minimum wage*the total number of citizens registered on electoral lists at the last parliamentary elections. In Armenia, the political parties can not receive funding from charitable or religious organizations, state institutions, organizations established less than six months before the date of the donation, foreign states and nationals, under-age persons, international organizations, anonymous persons. – 1 million AMD (about 1.960 euros) to enter the competition organized according to the election by majority rule voting. The amounts are refunded if a party obtains at least a mandate by proportional representation or, namely, if it obtains at least 5% of the votes according to the election by the majority vote or wins a mandate. Throughout the period after 1991, Georgia has experimented a mixed electoral system: 73 members of the parliament are elected by majority vote and 77 by proportional vote (in a single constituency established at national level). A candidate must obtain at least 30% of the votes in the constituency to be able to get the mandate (a second round is held, if no candidate from the first round get the minimum of 30%). In the case of proportional representation ballot, the electoral threshold is 5%. The parties may submit candidatures both in the majority constituencies and in the proportional ones. For the local elections, the electoral system is also mixed with an electoral threshold of 5% or 4% (depending on the size of the regions). The number of proportional, namely majority mandates differs according to the size of each local council. In the case of proportional representationvoting, the electoral threshold is 5%. In the case of majority voting, a candidate must obtain at least 30% of the votes in the constituency to qualify for the mandate. Georgia has a multi-party system. In Georgia, the existence of the political parties was legally confirmed, for the first time, in 1997. The Law on political unions of citizens mentioned that a party “represents the independent and voluntary association of citizens who share a common vision, with an organizational basis and which is registered according to the laws and Constitution of Georgia. In Georgia, a party may be prohibited by a decision of the Constitutional Court, if it represents a threat to the security of the state. Political parties in Georgia continue formally their existence only by self-liquidation. Minimum of 1.000 founder members. The Law on political unions of citizens mentioned that a party may be formed following a constituent congress attended by at least 300 people. To register a party in Georgia, its leaders must submit an application to the Ministry of Justice of Tbilisi accompanied by a notarial protocol certifying that its founding congress was held, a list indicating that the party has at least 1.000 members (by indicating the name and surname, date of birth, personal identification numbers-CNP, workplace, home address, phone numbers and signatures), the party statute, a legal proof concerning the address and telephone numbers of the party, a notarized proof on the veracity of signatures on the list of members, images with the symbols of the party. That Congress should adopt the charter of incorporation of the party. The law prohibits the establishment of parties that sought to overthrow by force the constitutional order in Georgia and its independence … who promote war, violence, ethnic, national, religious conflicts. The law in Georgia also prohibits to create local or regional parties. The Act mentioned also that a party can create regional branches or youth organizations, but they do not have a legal status. The Law of 1997 provided that in Georgia political parties are non-profit legal entities. According to the Law of 1997, political parties in Georgia were financed by membership fees, donations from private individuals, amounts allocated from the state budget, revenues from the sale of items with the party symbols or of some publications, by organizing conferences, exhibitions and other activities that can not change the non-profit organization status of the party. In 1997, the Law mentioned also that “the state allots yearly a given amount of the budget for organizational activities and of other nature of the parties.”As well, the law allowed state funding of election campaigns and stated that a party could not engage in other business activities except for those expressly provided in the legal text. The law of 1997 did not include additional indications on financing provided by the state budget to the parties for the electoral campaigns. The legislative gap was covered by the Electoral Code of 2011 which states that may benefit of funding from the state budget in the electoral campaign period only the parties that obtained at least 5% in parliamentary elections and that the amount can not exceed 1 million lari. In 2005, the law was amended by introducing an article on the restrictions regarding the funding of political parties: if subsidies are provided by the citizens of other states or international organizations (unless they organize public events such as conferences, workshops); if they come from state institutions or companies in which the state has an equity stake greater than 10%, except for the situations provided by law; if are granted by a non-profit legal entity or by religious organizations except for the conferences, workshops and other public events; if they come from stateless persons or anonymous donations. In 2007, in the law was introduced also the specification that the parties can receive donations resulted after organizing some public events. For the donations granted to a party shall not be considered “anonymous” (case when they were transferred to the Georgian state budget”), a legal entity offering subsidies to a party was obliged to indicate the name and legal address, and natural persons had to mention their names, address, personal numerical code of an identity card issued by the Georgian authorities. Donations offered by private individuals could not exceed the annual amount of 30.000 lari, and the contributions of legal persons could not be greater than 100.000 lari. If the Georgian parties received larger amounts than those provided by the law, they were deprived of funding from the state for a period of 1 to 4 years depending on the amount of money that were over the maximum level of donations allowed by law. The amounts that political parties in Georgia received from the state were established, according to the law of 1997, by the formula Z=B+(M*600*12)+(L*100*12)+(V*1,5)+(W*1). Core funding given by the state for the Georgian parties is of 150.000 lari yearly, the amount being doubled for parties that obtain at least 8% of the votes in parliamentary elections and at least 6% of the votes in local elections. In 2009 was created also a state fund for the financing of political parties and NGOs. That fund offered financing only for research activities, studies, conferences, official visits and regional projects. On election day the parties and electoral blocs receive state funding to be able to ensure their representation in electoral commissions. Beside the signatures of 1% of the citizens entitled to vote from a constituency, the associations of five people have to deposit the amount of 5.000 GEL. The Republic of Moldavia has had since 1991 a proportional representation, the electoral threshold varied between 4%-6%. After local elections, the mandates of councillor or those fallen to the parties, other social-political organisations, electoral blocs are distributed “after consecutively dividing the number of valid votes cast for each party, other social-political organization, electoral bloc to 1, 2, 3, 4 … etc.. up to the figure that corresponds to the number of mandates established for that electoral constituency”. The electoral threshold varied between 4% – 6% for the legislative elections. The Republic of Moldavia has a multi-party system. The law on political parties, of 2008, mentions that “political parties are voluntary associations, with status of legal person, of Moldavian citizens entitled to vote, who through joint activities and based on the principle of free participation, contribute to the design, expression and achievement of their political will”. The same law has established also the role of political parties: “democratic institutions of the rule of law [that] promote political pluralism and democratic values, contribute to the formation of public opinion, participate, by promotion and support of the candidates, in elections and to the establishment of public authorities, stimulate the participation of citizens in elections, participate through their representatives to exercise lawfully the power in the state, perform other activities in compliance with the law.” In the Republic of Moldavia is prohibited the creation of parties threatening the existence of the state or which promote violence and various forms of discrimination among citizens. The Law of the Republic of Moldavia on Parties and Other Social-Political Organizations, adopted in 1991, established that for the registration of a political party statute was necessary for the party to have at least 300 members, a program and governing bodies chosen. In 1998, the law was amended and the number of members required to register a political party rose to 5.000 “domiciled in at least half of the territorial-administrative units of second level, but not less than 150 in each of the territorial-administrative units mentioned”. Minimum of four thousands members. Members must have the domicile in at least half of the units of the second level (communes and villages) in the R. of Moldavia. The party must have at least 120 members in each of the territorial-administrative units mentioned on the list. The procedure for registration of a political party in the Republic of Moldavia requires the submission to the Ministry of Justice of a request accompanied by the party’s statute, its program, articles of incorporation, a list containing identification data of at least 4.000 members. The Law of the Republic of Moldavia on Parties and Other Social-Political Organizations, adopted in 1991, stated that „it is prohibited state funding of political parties and other social-political organizations”. In the Law was mentioned that can be funded from the state budget the “elections for the representative bodies of state power”. According to the same law, parties could be financed only by fees charged on members entering the party and for continued membership, without specifying the maximum amount of the fees. The law was amended in 1993 and the possibilities for financing political parties were enlarged. According to the amendments, political parties could receive funding from both membership fees and “the benefit obtained from the mass media activity, from selling social -political literature, other materials of propaganda and agitation, garments with their own symbolics, from holding festivals, exhibitions ….”. In 1993, the law allowed, for the first time, funding of parties from “voluntary payments and donations from natural and legal persons”. Till 2009, political parties of the Republic of Moldavia did not receive financing from the state budget. The Law on political parties, of 2008, establish that political parties can be funded from subscriptions, donations, grants from the state budget, editorial activities, property administration, other activities specified in the statute. Parties can not open accounts outside the Republic of Moldavia. Donations can be given to political parties by natural or legal persons and the maximum amount that a party receives from donations may not exceed 0.1% of the revenues scheduled in the state budget for that year. A natural person can not make to a party donations larger than the amount of 500 – monthly average salaries for the current year. The maximum amount that a person can donate to a party can not exceed the total of 1.000 monthly average salaries for the current year. In the Republic of Moldavia, the political parties may not receive funding from other countries, international organizations, NGOs, foreign citizens, minors, anonymous or companies and state-funded institutions. If the parties receive donations from sources that are not permitted by law or which exceed the amounts legally set, they shall be forwarded to the state budget, following a court decision. Political parties in the Republic of Moldavia receive annual funding from the state budget in the form of grants amounting to 0.2% of the revenues scheduled in the state budget for that year, distributed as follows: 50% of the amount is given proportionally to the number of mandates obtained in the parliamentary elections and 50% proportionally to the number of votes gained in local general elections (provided they have obtained at least 50 mandates in the representative bodies of territorial-administrative units of the second level). In the Republic of Moldavia, the parties are obliged by law to make public the information about the funding received and how it was spent. The activity of a political party may be limited for a period of up to six months, by a decision of the Court of Appeal of Chişinău, if that party cause prejudices to political pluralism and violates the fundamental democratic principles. A political party may be liquidated by a final decision of the Court of Appeal of Chişinău or of the Constitutional Court, if during the time when its activity is limited it does not eliminate the “inappropriateness” regarding its activity. The Russian Federation has a proportional electoral system, elections taking place in a single constituency, established at national level. In electoral competition may participate only the registered political parties, the law does not allow individual candidatures or candidature of alliances. A candidate may participate to elections on the lists of a party, but without being its member. The electoral threshold is 7%. The electoral threshold is 7%. The Russian Federation has a multi-party system. The Federal Law on political parties, adopted in 2001, states that a political party is a public association created to facilitate the participation of Russian citizens to the life of the society by creating and expressing the political will. By law, in the Russian Federation, a political party has the role to facilitate citizens participation in public and political actions, in elections, referendums and to represent citizens’ interests within state authorities and local government bodies. The law adopted in 2001 stated that to be registered as such, a political party must fulfil the following conditions: have branches in more than half of the regions that are subjects of the Russian Federation; in total the regional branches of a political party must have had at least 10.000 members in more than half the subjects regions of the federation and at least 100 members in each branch. The law was amended in 2004 and the minimum number of members required to set up a political party has been increased to 50.000 and 500 members in each branch. At least 40.000 founder members and to have branches in more than half of the regions that are subjects of the Russian Federation. In 2012, after the international pressure and protests of December 2011 (which contested the results of the parliamentary elections of the same month), the law was again amended, the minimum number of members to set up a party was reduced to 40.000, and 500 in each branch. The application for registering a political party must be accompanied by the charter and the program of the party, legalised copies of the decisions taken by the constitutive congress, data about the permanent address of the management bodies, legalised copies of party protocols regarding the organization of the regional branches across more than half of the subjects of the federation and which specify the members of the regional branches and the address of the regional bodies of the party. Related to party members, the law states that the names given to the authorities for the registration of a political party are classified data. A political party can be created in the Russian Federation by the decision of an Constituent Congress or by conversion of a public national organization into a political party. The management structures and the branches of the party must be situated exclusively on the territory of the Russian Federation. In the Russian Federation can not be created parties of some other states or branches of parties in other countries. The law adopted in 2001 provides that political parties can be funded from the taxes charged for admission of members and for their continued membership, donations, amounts obtained from the organization of events and by “civil transactions”, subsidies allotted from the state budget and other sources, according to the legal provisions. In the Russian Federation, the parties can not receive funding from other states, foreign citizens, stateless persons, Russian citizens who are under 18 years old, Russian companies that have foreign capital for more than 30%, state institutions, organizations that were not created with at least one year before the date of donation. The amount of donations received by a political party from the same “legal entity, including by its regional subsidiaries may not exceed a 100.000 of minimum salaries. A party can not receive donations from a single individual in largest amounts than 10.000 minimum salaries. Total donations received by a political party in one year may not exceed the amount of 10 millions minimum salaries. A regional branch of a political party can not receive in a year donations greater than the amount of 200.000 minimum salaries. The amount of the minimum salary is set by federal law on March 1 of the previous year. A political party may obtain revenues also from the sale of souvenirs, of published materials or of properties. The law provided that the amounts allocated from the state budget for financing political parties can not be less than 0.005% of the minimum salary *the number of votes cast in the last elections for the State Duma or after the elections for the President of the Russian Federation. Political parties may receive financing from the state budget if they have obtained at least 3% of the votes cast in the elections for the State Duma, if in a constituency in the parliamentary elections were elected at least 12 candidates of the same party or a candidate for presidential election obtained at least 3% of the votes. The electoral campaigns of political parties may be financed by maximum contributions of 700 millions rubles from their own funds and donations. – independent candidates may participate in elections only included on the lists of parties. After the declaration of its independence, in 1991, Ukraine has experimented two types of electoral systems: the majority one (all the 450 seats in the Verkhovna Rada had to be occupied after the “first past the post” rule, after two rounds, provided that the participation in the elections was at least 50% of the citizens entitled to vote), the mixed one (225 seats were occupied by majority system and 225 by proportional vote on party lists) and proportional. The majority vote, confirmed by the electoral law adopted in 1993, was applied only to the first parliamentary elections in 1994, which resulted in a failure because even after holding a third additional round, 162 seats remained vacant. During the 1998 parliamentary elections, the election law was amended by introducing joint election, to avoid the situation created in 1994. The electoral threshold for the proportional vote was 4%. By following the same rules were held also the elections in 2002. In 2005, the proportional representation ballot was applied to fill all 450 seats in the Ukrainian parliament, by the parties that have succeeded to pass the electoral threshold of 3%. The mandates have been allocated by using the Hare method. The system was maintained also to the parliamentary elections in 2006 and 2007. In 2011, the electoral law was again amended, being reintroduced the mixed system, but with a threshold of 5% for the proportional representation ballot and elimination of the electoral alliances from the competition. The mixed electoral system is applied in Ukraine also in local elections for the local regional, districts and towns councils (half of the mandates are occupied by majority system and half by proportional system). In rural areas, elections are held by using the majority electoral system. Ukraine has a multi-party system of parties. The existence of the political parties was enacted for the first time in Ukraine, in 1992, by the Law on Public Associations. The Law of 1992 ambiguously classified the political parties and the NGOs in public associations. In the first two paragraphs (articles 3 and 4), the legislative act classifies public associations in political parties and public organizations. In the view of Ukrainian legislators in 1992, “a political party is a free association of citizens, promoting a certain program with national character, which aims to participate in the elaboration of state policies, that governs itself by power structures at local and regional level”. Public organizations were “a public association of citizens, created to satisfy and protect the social, economic, creative, age, national, sports and other mutual interests”. Further, the text of the legislative act is ambiguous because it includes provisions that apply to public associations without making explicit mentions regarding their nature, as they were defined in the first paragraph, only sporadically. Political parties in Ukraine were established on the initiative of citizens aged over 18 years old whose rights were not restricted and who were not in prison. The Ukrainian law provided that the minimum number of members for the establishment of a political party was 100.000. To become a party, the organization had to be registered as such to the Ministry of Justice and locally, if the statute included provisions for this. The application for registration was accompanied by a list of signatures of 100.000 Ukrainian citizens entitled to vote, the statute of the future party and the program-documents, “the minutes” of the Constituent Congress, information regarding the management structure, local bodies, proof of payment of the registration fee. Documents regarding the statute of the future party must include mentions about: the original title of the organization, the address, the objectives and duties, the conditions for granting and withdrawing the membership of that party, the rights and obligations of the members, documents to prove the establishment and the activity of some branches locally, the provenance and the way how the funds are spent, the procedure for amendment, change of the statute of the organization, distribution of its properties (after termination of the activity). The symbols chosen by the parties to represent them may not present similarities with the Ukrainian state or religious symbols. The Law on public associations of 1992 forbade the set up of political parties which were jeopardizing the security of the Ukrainian state, were attempting to human rights or were promoting religious and national intolerance, were creating illegal military units. The first legal act, the Law of Ukraine on Political Parties of Ukraine, which included provisions applicable strictly to the political parties was adopted by the Verkhovna Rada (the Ukrainian parliament) in 2001, after a lengthy debate process that lasted almost four years. The new law was elaborated based on the model of that of 1992. The Law of 2001 mentioned that political parties are “voluntary associations of citizens, legally registered, which promotes a program of national and social development, which supports the formation and expression of the political will of citizens, participate in elections and other political events”. Under the Law of 2001, political parties could be registered only if they aim to engage in activities on the entire territory of Ukraine, provision that made impossible the creation of regional parties. The Law of 2001 provided that a political party could be formed following a constituent convention that have as a result a convention that will be supported by the signatures of at least 10.000 Ukrainian citizens entitled to vote. Signatures had to be collected from at least two thirds of the districts under the administration of at least two-thirds of the regions (oblaste) and which include the cities of Kiev and Sevastopol and at least two thirds of the administrative districts of the Autonomous Republic of Crimea. Regarding the documents that had to accompany the application for registration of a political party, the Law of 2001 has maintained the provisions of the act of 1992. Regarding the name of a new party, according to the law of 2001, it could not be the same as an already registered party and could not replicate the national symbols of Ukraine or of other states. The Law of 1992 provided that a political party in Ukraine could be liquidated by a decision of the Constitutional Court if it does not comply with the Ukrainian legislation and if the number of members was decreasing below the minimum required by law. Under the Law of 2001, the certificate of registration of a political party in Ukraine may be cancelled if within three years from the date of registration it is found that the founder members have submitted false information regarding the name and address of the bank where its accounts were created, and if it did not nominate candidates for the presidential and parliamentary elections for 10 years, and if it does not comply with the Ukrainian legislation. The Law of 1992 stated that political parties could not receive funds from the Ukrainian state institutions (except for the situations expressly provided by law). The Law of 1992 also mentioned that political parties can not be financed directly or indirectly by other states, organizations founded in other states or international organizations, foreign citizens or stateless persons. Also, in Ukraine, the political parties can not receive funding from the state, except as for the situations expressly provided by law, and also from the companies established with an equity stake of 20% capital of the state or of some foreign citizens, from unregistered public associations and anonymous sponsors. The political parties in Ukraine are forbidden to receive dividends/ interests and to hold accounts in foreign banks and are required to publish their annual budgets. In Ukraine, according to the same law, political parties could establish media trusts and conduct only business activities as selling political, agitation and propaganda literature, goods carrying their symbols, to organize festivals, holiday programs, exhibitions and public conferences. The law adopted in 1992, stipulated that the Verkhovna Rada had to create a special commission, composed of representatives of all parliamentary parties, to verify the financial activity of the last year of the parties and to transmit the results in a plenary session of the parliament. If the parties would have obtained illegal contributions they had to be transferred ​​to the budget of the Ukrainian state. Under the same law, the political parties in Ukraine were subject to a public financial control over the funds and expenses. If certain sponsorships were exceeding the amount determined by the parliament, the parties must disclose this fact in a statement that was published in an official newspaper. In practice, the Verkhovna Rada never created the above-mentioned committee. The Law of 2001 mentioned that political parties could not be financed by state institutions (except for the situations expressly provided by law), by state-owned companies or by companies, institutions with foreign capital or interests, by foreign countries, by religious organizations, anonymous sponsors or who used pseudonyms, by other political parties. By the same law, the Ukrainian banks were required to notify the Ministry of Justice in the cases when the political parties received funding from sources prohibited by law and to transfer those finances to the state budget of Ukraine. The political parties were also required to report monthly data on the funding resources and expenditures and had to be “non -profit organisations”.